We’re a husband and wife photographer team. -Capturing what makes your relationship beautiful & unique, not just having you go through the motions or putting you in poses that we have for every client. -Doing everything from a place of love. If this sounds like people you want on your special day- let’s talk! I’ve been a photographer for a few years now and I’ve found my best and most fulfilling work is the work that makes a difference in the lives of those I capture and the world around me. My best work is one from a foundation of co-creating. “It doesn't interest me what you do for a living. I want to know what you ache for and if you dare to dream of meeting your heart's longing. Full Resolution & Edited Photos. No Limit on Downloads. Easy to Order Professional Prints through Gallery (including for family and friends). Location Suggestions. Timeline Planning. Vendor Recommendations. Multiple Planning Guides.. and More! Location Suggestions. Vendor Recommendations. Multiple Planning Guides.. and More! What to Wear- including a color palette! Location Suggestions, Multiple Planning Guides.. and More! Marie hiked through the rain to Third Beach in La Push in order to camp for the night with us. We were late getting there, and late getting up and ready in the morning, but Marie worked with us at every turn. We got the most beautiful family and engagement photos, as well as photos that truly capture the emotion of when my fiancée asked my for my daughters permission to marry me. The resulting experience was like spending the day with a close friend. I would recommend the experience of working with Marie to anyone looking for beautiful, unique engagement photos. - Gina L.
Marie was very understanding and worked with us to create the best experience I could hope for. It was just a relaxed day with a friend and my family, and I got beautiful photos to remember it by. I would recommend Marie to anyone looking for magazine-worthy wedding photos and that has an adventurous personality! Kayla M.
We chose Marie to take our engagement photos in Colorado in early Spring. We are from Omaha and thought that getting away for a weekend was the perfect way for us to take our engagement photos. Prior to making the trip, Marie met with us to discuss the basics of what to expect and introduced us to her style to see if we were a good fit. With the weather being inconsistent, we waited to make solid plans until it got closer to our departure date. This isn't always a soothing feeling, but Marie met with me in person so we could look at trails and maps together in person. She gave me a variety of options and explained the pros and cons of each location idea so we could find one that worked best for our timeline. She also emailed from time to time to include short lists of items that we may need if the weather started to take a turn for the cold and snowy. When we finally headed out for Colorado, we were on the front end of a small blizzard warning running through our path. Surely, Colorado got a fair amount of ice and snow as well. With all of our original plans iced over and access roads shut down, Marie was quick on her feet to provide multiple alternatives and with the realistic idea to wait until morning to decide. Once awake and moving, we decided on a location and recovered from a mistake on our part for driving too far into the park we were shooting at. When we finally made our way back to her, she had already scoped out numerous spots for us to take pictures at. Then the fun began! She made us feel very relaxed and we had a lot of fun. She directed us in poses by being descriptive without forcing us into a pose. She focused a lot on prompting one or both of us with sayings or actions that made us get close but ignited a genuine response. We had time to shoot at another location for sunset and Marie was down to give it another go. We got such different sets of scenery in our photos that we were worried we had given Marie a challenge when editing. She altered her usual style to give us some amazing results that were still unique to her. Overall, I can't say more good things about our experience. Marie is great with obstacles and sees potential in all her scenarios. She goes the extra mile to make sure she's representing you the way you wish, but also pushes you enough out of your comfort zone that you are left with some awesome memories and great pictures to remind you of them. Thanks, Marie! - Blair H. 1.) Get all of your questions for me ready and lets set up a time to chat over facetime/duo/skype. I want to ensure we're a good fit, so that you can come into this feeling 100% excited about having me as a part of your day. 2.) If you feel good about that- I will send over the contract for review. 4.) 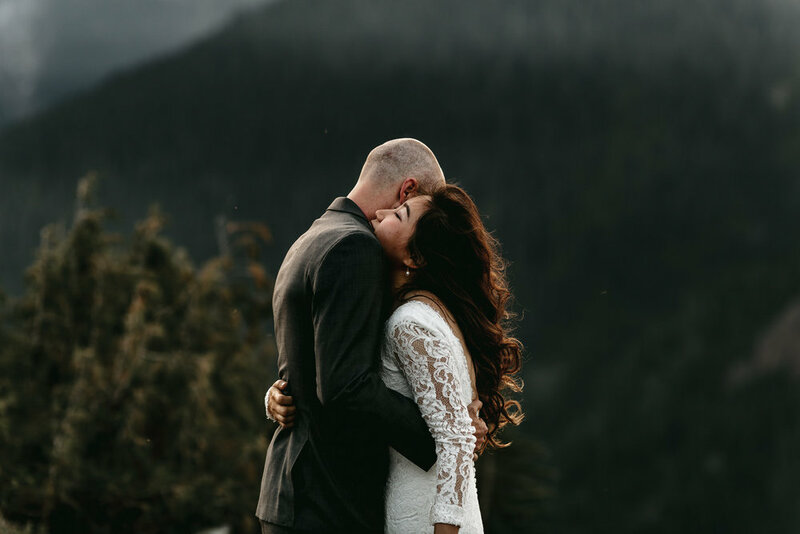 We can start dreaming of your perfect wedding/elopement together!